Do It Yourself Repurposed Upcycled Reused Headboards is another homemade project that you can do in your bedrooms. Hello, and Welcome to LilacsNDreams everyone! 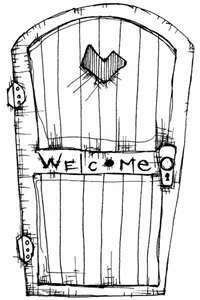 Glad to have you here, and now let's see what projects we can work with today. Our bedrooms. How many times do we look at them, and think I need something different in here. I would love to get a new bedroom set, but ouch with the price too! Maybe you don't want the whole set, but just the headboard you are thinking of. Still, that is a costly piece of furniture to buy brand new. You find something at the store, loved it there, get it home, and you no longer like it. Wasn't what you thought it would be, and just does not look the same. So, now what do you do? Yes! 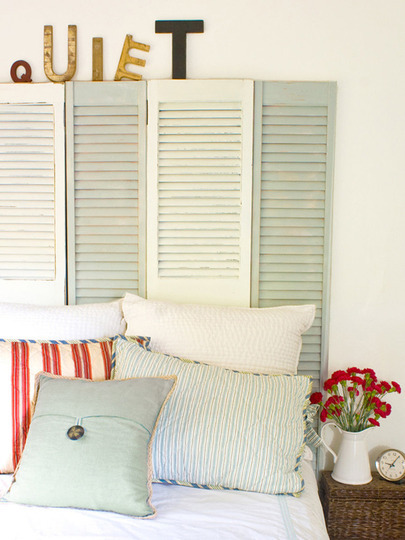 Repurpose a headboard that will go with your decor, be what you want it to be, the size you want, the color you want, and you know what I mean. That personal touch is always a wonderful feeling of accomplishment too. 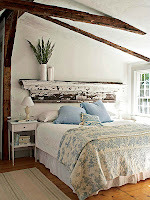 As you have already guessed there are so many ways to design a headboard for you, your life style, your bedroom. Use wooden pallets, shutters, vintage signs found, some antique doors, maybe an old worn shelf, update it with some new shelves or storage units used, use a rod and curtain or material of your choice, and another neat idea is to paint a picture of what you want for your headboard right on the wall. 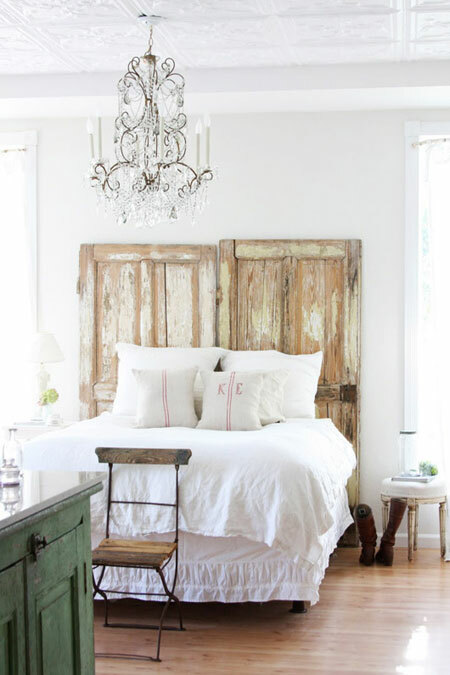 Yes, use some paint, stencils, chalk paint, or whatever you like to paint your head board on the wall with. How neat is that, right? Using any of these ideas would be wonderful, and make your room more of a comfort zone for you to sit, relax, and sleep better too. As you can see again many ideas to help in the bedroom there. If you want to relax, and hide away in your bedrooms why not make them enjoyable to do so, right? Remember, you can also google, bing, and yahoo about ideas for repurposed, upcycled, and reused headboards to see many more ideas to enjoy. I hope that you have enjoyed your visit today with LilacsNDreams. If you have a headboard project you have worked on please share it with us here in the comments. Leave a note, and leave the link so that we can come look at the pictures. I like pictures, and I enjoy all kinds of ideas to consider. Right now I am thinking shutters because we have some old bi-fold doors that were pulled off from our closet with a remodeling project that was done. Possibilities, isn't it fun?